With IBA Time and Attendance you can keep track of your organizations employee daily attendance. You can manage and automate all aspects of your human resource activities related to time attendance. 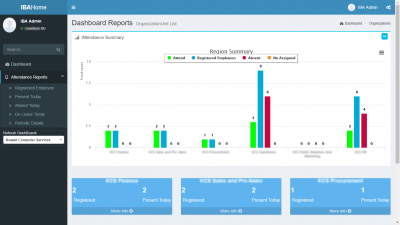 Save cost by reducing the manual process associated with time and attendance activities. Kindly download the Brochures for more details. 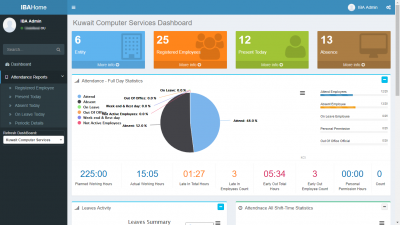 Suited for businesses who want to automate their Time and Attendance process. 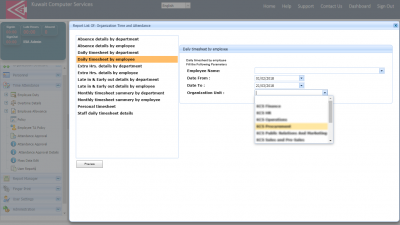 • Create and manage your organization duty and shift timings and assign different duties to employees, supporting 24 Hours and 48 Hours shifts. 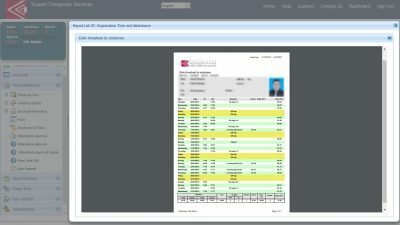 • IBA is a bilingual software application. • Overtime module and reports for calculate and approve employee’s overtime. • Customized reports can be generated by IBA. • IBA Audit Trail provides complete list of all the transactions done by end-users. • IBA administration is very simple where administrator creates users and assigns privileges to them. 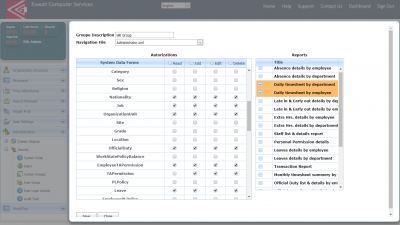 • Data view types can be customized to be viewed in different formats. 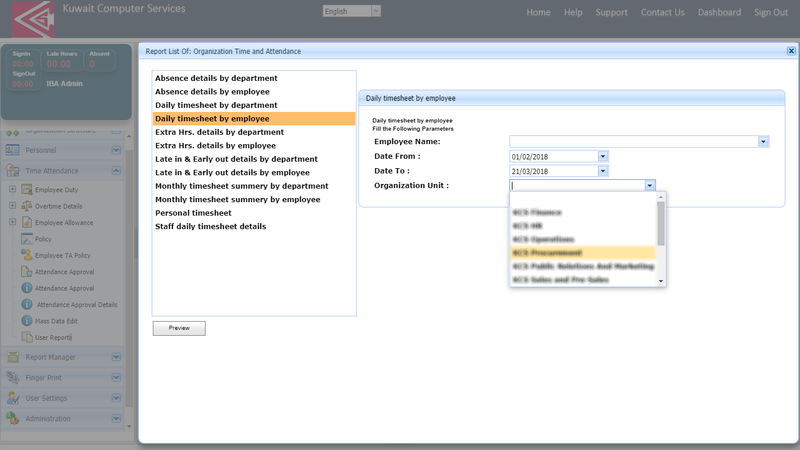 • IBA supports unique way of defining your organization structure including site and location of your organization. • IBA uses Application server to get data and send data to Database, this makes the process of getting and sending data to DB faster because of the CACHE feature of the App Server. • Unique way of storing data in database. 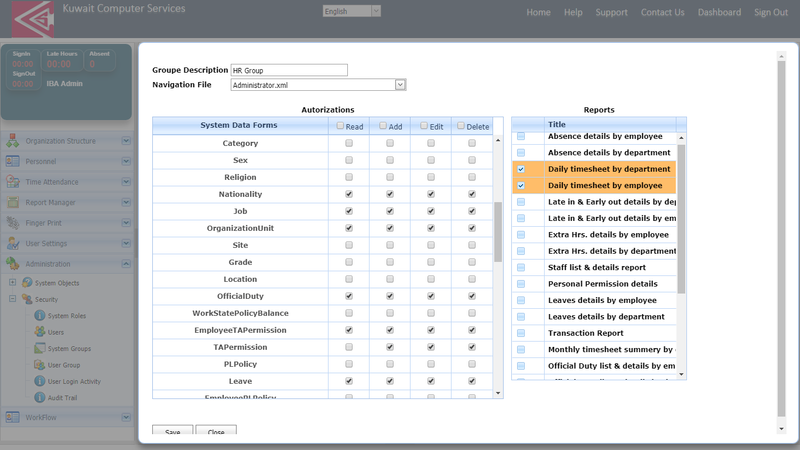 The Application administrator can only modify the data that also from the Application only and not from the database. • IBA uses atomic transaction technology to store data in the database which ensures data is always in a consistent state. 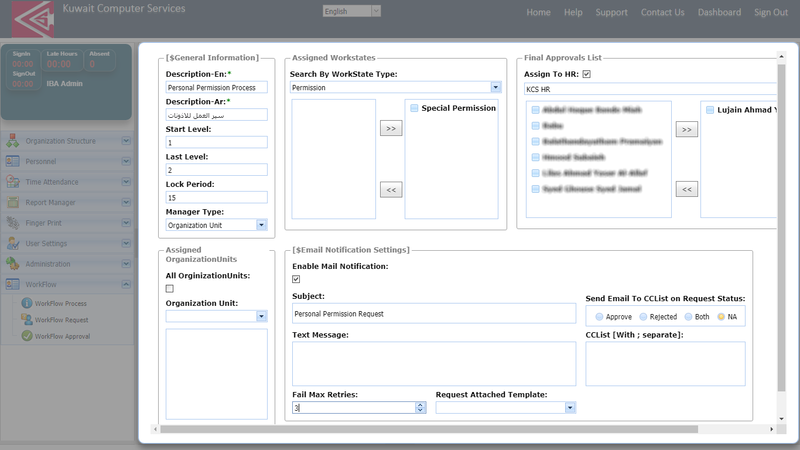 • Web interface can be connected to Desktop interface through modem or some other connection media. • Hyper Text Transfer Protocol (HTTP) is used to transfer the data from web server to application server because of which the firewall issue also gets solved. 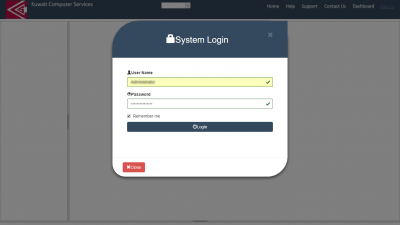 • IBA web interface supports Forms Authentication and Windows Authentication. • Security Socket Layer (SSL) is used to encrypt the data from IE to Web server, which prevents the data to be hacked. 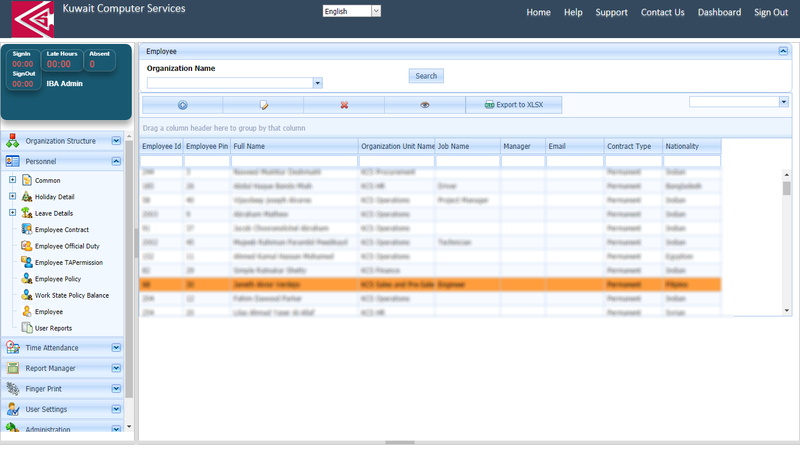 • Database can be upgraded according to the versions of the application automatically. 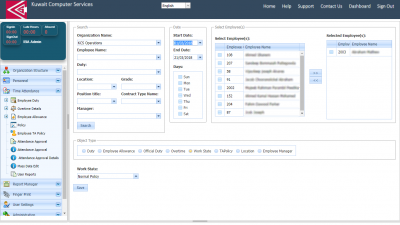 • Leave and Permission Workflow: new workflow system inside IBA to permit to each employee to submit a leave and permission by himself to approve from his managers. Integration with Biometric and Access Control Systems. 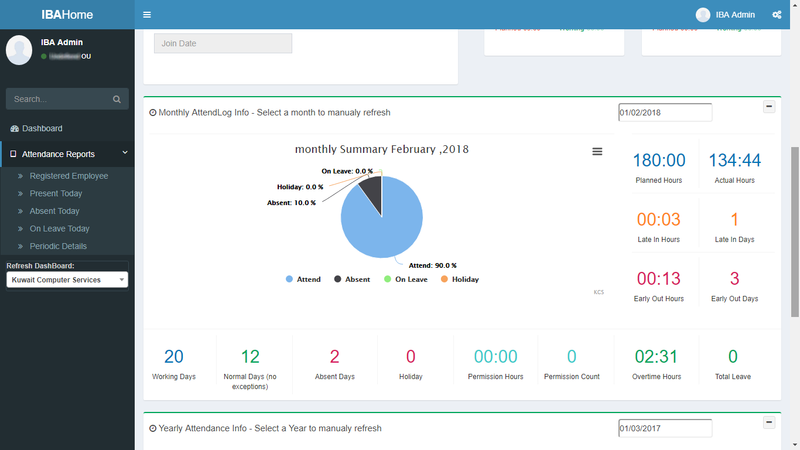 IBA Time and Attendance system can integrate with your exiting access control infrastructure or can be integrated with popular vendors of biometric (fingerprint, face) readers and card access controls like Morpho (Bioscrypt), ZKTeco, Suprema, TrustOne, CivinTec, Virdi, Lenel, Others to capture and transfer daily employee clock in and clock out transactions. IBA Time Attendance System offers data integration with various HR systems to manage data related to Time and Attendance and Payroll systems.